The admired history of fingerprint matching and verification gives it acceptance as compared to newer methods of identification. The fingerprints can be identified by various physical and chemical methods. Fingerprints on various surfaces can be identified. This is another leading method for human identification. DNA Forensics Laboratory Pvt. Ltd. excels in latent fingerprint development. These latent prints can be developed by using various chemicals and light amplification stimulated emission of radiation and also ultra violet rays. There are many other techniques that DNA Forensics Laboratory Pvt. Ltd. uses to get the most accurate results. These fingerprints are developed and then enhanced for a clearer picture. Now these are ready to be compared for identification of individual. Fingerprints are a tried and tested method since they are unique. Each individual has unique fingerprints. Therefore they become the easiest and most affordable method to find an individual. Fingerprints are permanent. They do not change with age or time. They remain same throughout one’s life except in case of accident or nature of work that damages fingerprints. They are accepted as an authentic proof in the court of law. It is accepted by the legal community. The results are accurate and reliable. DNA Forensics Laboratory Pvt. Ltd. has a team of experts who are experts in fingerprint verification and matching. The analysis of fingerprints for analysis requires comparison of various patterns. These patterns are aggregate characteristics of ridges and minutia. These are unique features found in the patter. The patterns are basically arch, whorl and loop. Minutiae and patterns are vital in the analysis since no two prints have been found identical till now. Studies have shown that family members often have similar patterns but never the same. 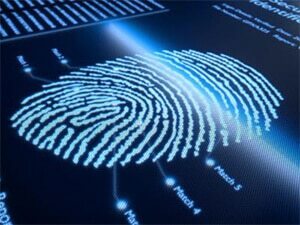 Fingerprint identification is a popular method of human identification in criminal cases. The fingerprints from the crime scene can be matched with the database that already exists or with the alleged criminal. If the sample match then the police and judiciary comes to a conclusion making it faster and also reliable. DNA Forensics Laboratory Pvt. Ltd. uses key markers that can be used for comparison rather than matching the whole fingerprint. It also collects, handles and stores the samples with utmost care for accurate results. Fingerprinting is a painless method for identification. It is reliable and affordable. It is comparatively faster and can be used for missing person cases, legal claims and identification.